Last week was pretty rough. Many of you probably saw my Facebook post. Millie suffers from terrible acid reflux, colic and gas. I think Tyler and I went for 7 days without sleep before we finally figured out what was actually going on and decided to call the pediatrician. We are still learning, obviously. 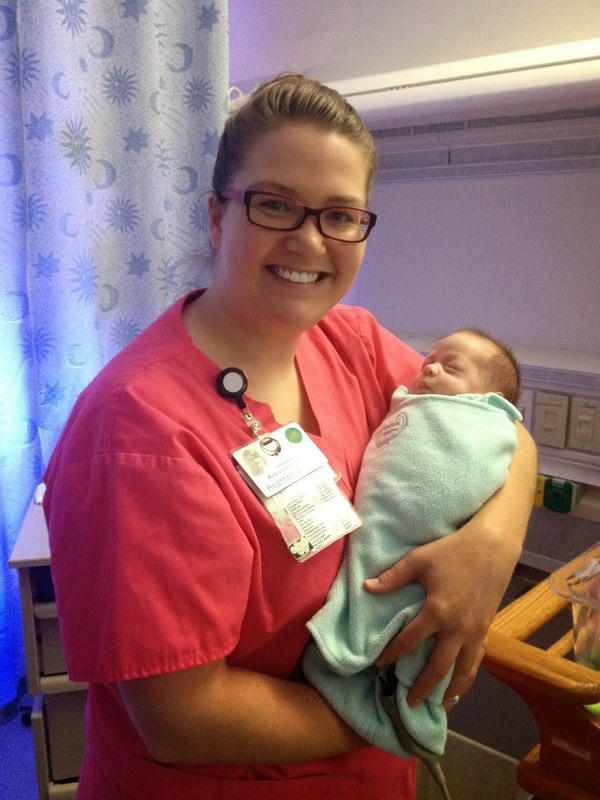 It is hard to bring a newborn home but it is REALLY hard to bring a preemie home. There are so many additional challenges that come with a preemie because their little digestive tracks just aren't fully developed. She is so fragile. Our pediatrician is absolutely incredible. His name is Dr. Holleman and he is at Pediatric Associates over by St. Luke's Hospital off the Plaza. If you are looking for a pediatrician in Kansas City, I would highly recommend him or anyone in his group for that matter. He started her on an antihistamine called Axid Syrup that has seemed to provide A LOT of relief for Millie. We also started using gas drops as needed and just seeing her comfortable has really brought us some peace. It was really hard watching her wince in pain every 3 seconds and not knowing what to do about it. She is now able to rest which is so important for preemies. All of their growth and development happens when they are able to get that REM sleep. My mother has been a saint. She came last weekend and took Millie for 2 nights in a row so Tyler and I could catch up on sleep. My head would hit the pillow and I would literally die until it was time to get up and pump half way through the night. I think that is some of the best sleep I have ever gotten in my entire life. Any new parent knows the kind of sleep I am talking about. It's the kind of sleep where you wake up and feel like your body weighs 200 pounds, your pillow is soaked from drool and you feel like you just closed your eyes 10 minutes prior. Millie has started to giggle in her sleep. It is really, really sweet. When she was still in the NICU, it was 10:30pm one evening and one of the neonatologists walked in just to say hi. I think he could tell we were having one of those nights where it was extra hard to leave her until the next day. He told us that when she smiles in her sleep, she is dreaming about us because that is really all she knows. The comfort that brought me at the time brings me to tears as I type this. Knowing that Tyler and I are the most important things in her life right now and that we bring her happiness and peace makes me feel complete. So, every time I hear that giggle, I smile and wonder if she is dreaming about the little jingles Tyler and I make up and sing to her before bath time to calm her down. Going forward, we are praying for a few things. Millie has her 2 month pediatrician appointment on Friday which includes a few vaccinations. We have decided to forego the Hepatitis B vaccine due to a terrible reaction I had to it when I was 15. (I literally almost died from it but that's a whole different blog post.) The fear is that Millie might have the same hereditary complications I did and we would rather not even go there if it is not needed. She also has her Neonatal follow-up appointment Friday where we find out if she can come off the heart rate and apnea monitor. We hope she can because the belt that straps around her chest had completely rubbed her skin raw at one point which we were not happy about. Finally, we pray for comfort for her. Her whole life she has been poked and prodded on and adding acid relax and gas problems to the mix was not acceptable. We just want to keep her comfortable and happy. This is Heather. This was actually my antepartum nurse. This is the nurse that saved Millie's life by internally holding her up off the cord for that crazy rush down the hallway to the operating room. She continued to hold her up off the cord until emergency surgery was complete and Millie was delivered. This girl is a hero especially because she had never been put in a situation like that. She took the circumstances, stepped in and was so brave. And what a happy ending. This is Miss Allie, one of Millie's night nurses. We love Allie and continue to see her every week. I really enjoy the fact that we have made lifelong friends from Millie's stay at the NICU. She will always be in Millie's life. 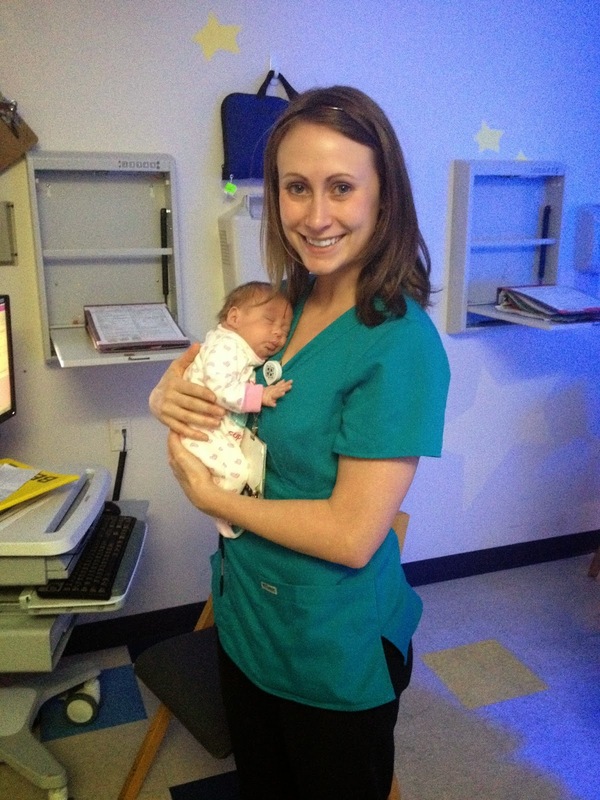 This is Millie's primary nurse, Kyla, who took care of her from day 1. Again, another lifelong friend we have made. We are so thankful for her and miss her so much.